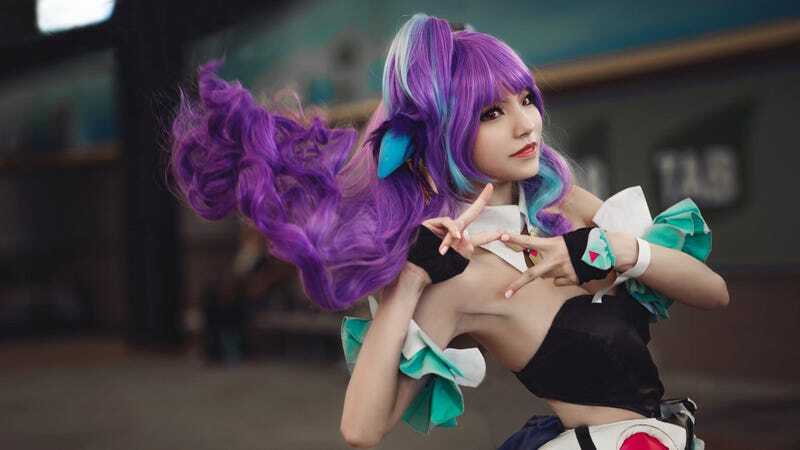 Sydney’s biggest anime convention, Smash, has come again to Rosehill Gardens, bringing with it a cavalcade of bright and colourful cosplayers. With a focus on the Japanese side of things, Smash gets quite a different range of costumes to the ones you’ll regularly see at gaming expos or comic cons — though there are some old favourites thrown in as well. Smash also hosts the Australian leg of the World Cosplay Summit — one of the oldest international cosplay competitions run in Nagoya, Japan every year. The team that came in second place is pictured below, and under that the winners who will be flying over to compete in Japan next year. There were also a couple of huge cosplay groups like the one below — how anyone actually manages to organise these things is beyond me! While I have to admit I’m more used to the gaming/comics side of cosplay, I love some of the more unique parts of Smash — like the dance stage where groups perform their own renditions of dances from Love Live and presumably other Love Live-esque things. Here was one of the performances I caught over the weekend from the group Mews Australia. If there are any cosplayers you recognise who are uncredited, let us know so I can add it in!